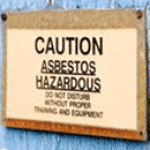 Training Provider: The Asbestos Institute, Inc. Certificates Upon completion of the course (same day). Food Coffee, bottled water, donuts, bagels, fruit. Accrediting Body Arizona has no regulations that require state certification for these disciplines. If an individual has acquired AHERA/EPA accredited certification in these disciplines from another US Environmental Protection Agency (EPA) authorized state, you are qualified to do this type of work in Arizona. Proof of these certifications must be made available upon request. Individual App Requirements Arizona has no regulations that require state certification for these disciplines. If an individual has acquired AHERA/EPA accredited certification in these disciplines from another US Environmental Protection Agency (EPA) authorized state, you are qualified to do this type of work in Arizona. Proof of these certifications must be made available upon request. Company Application Requirements Arizona has no regulations that require state certification for firms or companies. Refresher Training Certificates (hard cards) are valid for one year. Failure to take refresher training within two years from expiration date = start over! Refresher training is a 1-day, 8 hour course. Reciprocity The Arizona Department of Environmental Quality does not certify any trade of asbestos work. The Arizona Department of Environmental Quality when needed would check for the EPA accredited training. 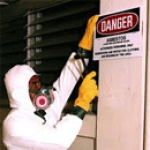 The Asbestos Institute has been the leading EPA accredited and safety trainer in the United States since 1988. 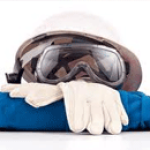 Our staff has decades of experience and we provide live, on-site and online training in the following: Asbestos (AHERA) initial and refresher training, OSHA training, and HAZMAT training.